We travelled for two days through the Serengeti to the Mara River in the hope of seeing migrating wildebeeste. After waiting less than an hour beside the river, a group of wildebeeste started to cross. Once one led, hundreds followed. 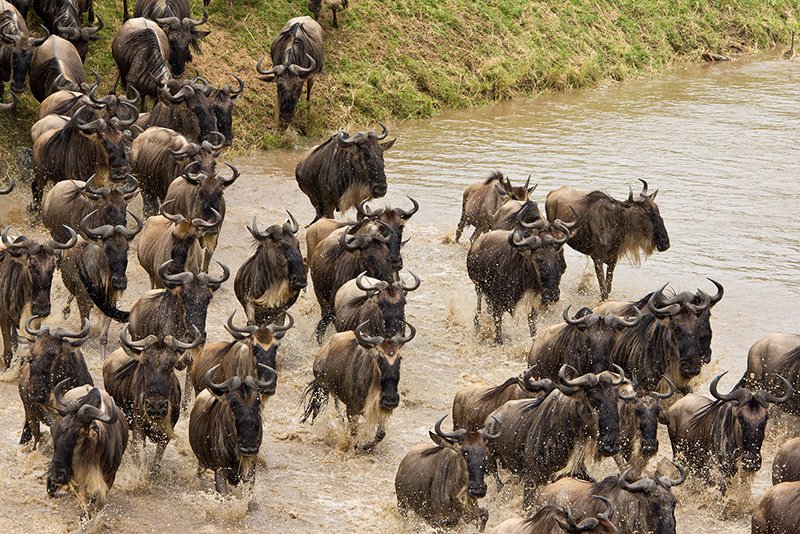 Their movement across the Serengeti-Mara ecosystem is driven by the rains, which were unusually long this year. Wildlife photography always requires an element of luck as well as planning.